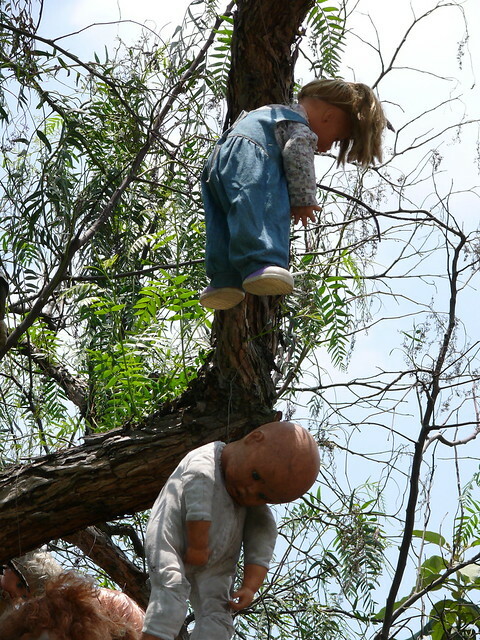 "La Isla de las Muñecas" (The Island of the Dolls), Mexico is famous for having the creepiest collection of dolls. 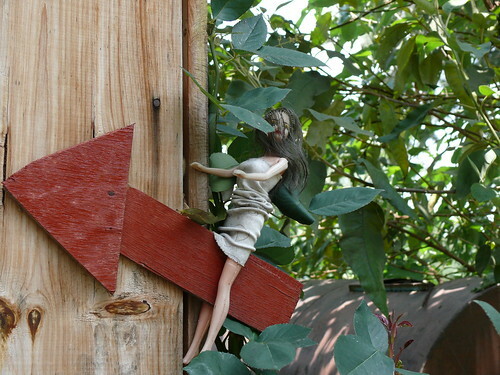 Located within a maze of canals in the Xochimilco region, South of Mexico city, the small Island was home to a hermit - Julián Santana Barrera, who used to collect discarded dolls. 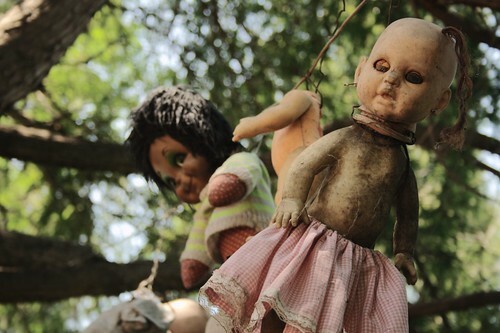 Exact reason for his urge to collect the dolls is not known but Julián believed that the dolls would protect him from the wandering soul of a young girl who had drowned in the canal near his cabin. He would therefore go to garbage dump yards searching for dolls and even fished in the canal for the discarded dolls thrown in the water and would place the dolls in his small cabin on the Island. 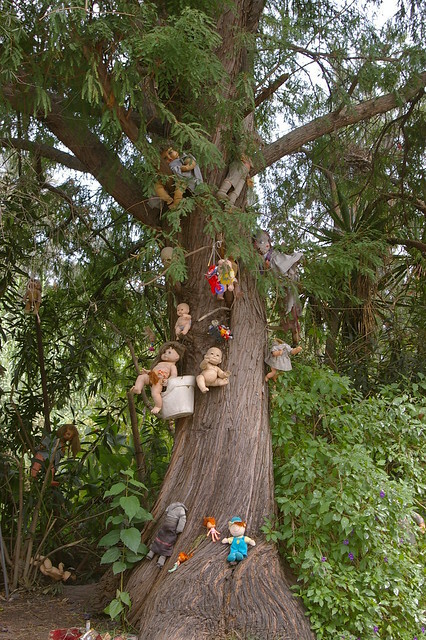 Soon he ran out of space within the cabin and started placing the dolls on the trees outside and as well as hanging the dolls on the wires strung between trees. 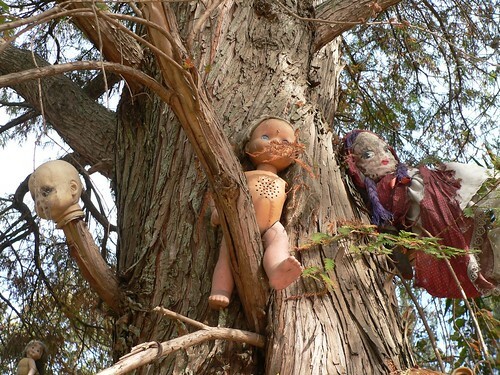 The dolls are every where; almost all the trees in the Island have dolls. 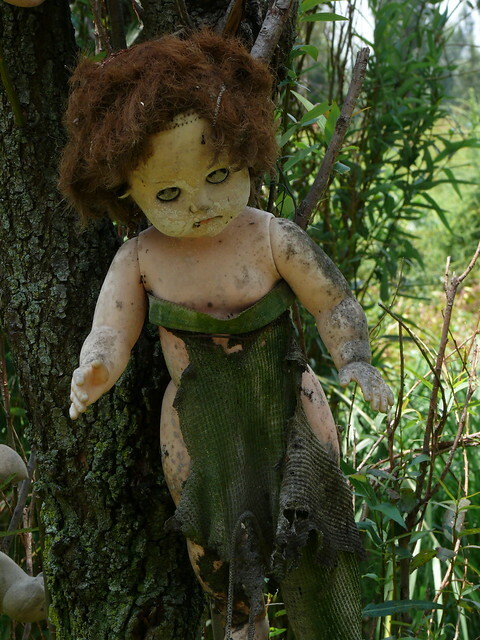 Most of the dolls in the collection are in the condition in which these were found. Some are full of mud/dirt, some are without dress, some are mutilated, have a limb or their head missing. Some are sitting, some standing and some even hanging by their neck! Julián was a loner and despite having a wife and family, chose to live alone on the island. Nobody except his close family used to visit him. His collection was "discovered" in the early 1990s, when the area was being cleared of excessive water Hyacinths. Total dolls in his collection, spanning about 50 years, may be more than a thousand dolls and it may perhaps be World's largest collection of dolls. In any case it is the creepiest. 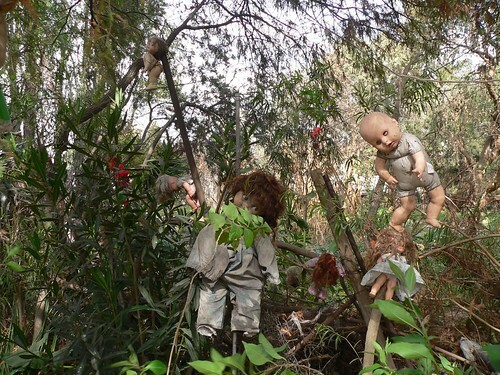 The whole place is spooky and is often referred as "Island of Dead Dolls" (La Isla de las Muñecas Muertas). 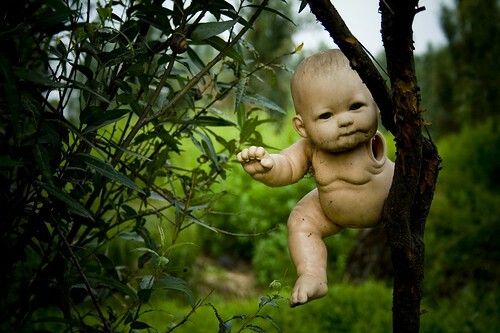 It is also rumoured that some dolls in his collection come alive during the night. Julián died about 4 years ago and his death is also steeped in mystery. He often told his nephew that the dead girl regularly calls him and the dolls protect him from going to the girl. One day he mentioned to his nephew that the girl is calling him again. Soon thereafter he sent his nephew on some errand, who on return found Julián's body floating in the canal almost at the same spot where the girl was drowned. Reportedly he had an heart attack and fell into the canal. His nephew now takes care of the place and the Island has attracted a great influx of tourists in recent years. Image from Flickr is by Tarzan!!! Credits: I am thankful to animes25 who correctly marked the spot in Google Earth. There was some confusion about the location. BridgePlayer and Walter_V_R, Members of Google Earth Community checked and confirmed, vide this post, the location given by animes25. I am therefore also thankful to Bridge and Walter. Thank you Animes, Bridge and Walter.